» North Face Kaiju 6 Tent Review – Is it a Good 6 Person Tent? North Face Kaiju 6 Tent Review – Is it a Good 6 Person Tent? The North Face has a variety of different quality tents available, but one in particular is highly praised. The Kaiju 6 is a massive tent that easily out-performs other family size tents in comfort, durability, and versatility. If you are tired of feeling cramped, uncomfortable and clammy in a too small tent, you should seriously consider the Kaiju 6 tent. The Kaiju 6 has the perfect combination of features and simplicity. An outdoor gear nerd is going to appreciate all the bells and whistles The North Face equipped while the average family campers will enjoy the uncomplicatedness of it. Now, let’s take a more in-depth look into this Kaiju 6 tent. Durability and breathability are two huge factors when choosing a tent. You can get by with the inconvenience of a tent being a little too small or lacking in pockets for storage. These things may be annoying but they are nothing compared to a poorly made tent tearing during a camping trip or finding out that your tent traps humidity and becomes a clammy mess when you’re out in the middle of the woods. The light weight of polyester makes this tent exceptionally breathable. Since the canopy is purely polyester, heat and humidity can easily escape. The rainfly is equally breathable and strong but is also fairly water repellent when it comes to light rain and even light snow. Polyester is also used in the floor construction. Although it is a heavier, denier fabric with a much thicker PU coating, the tent must still be treated carefully. 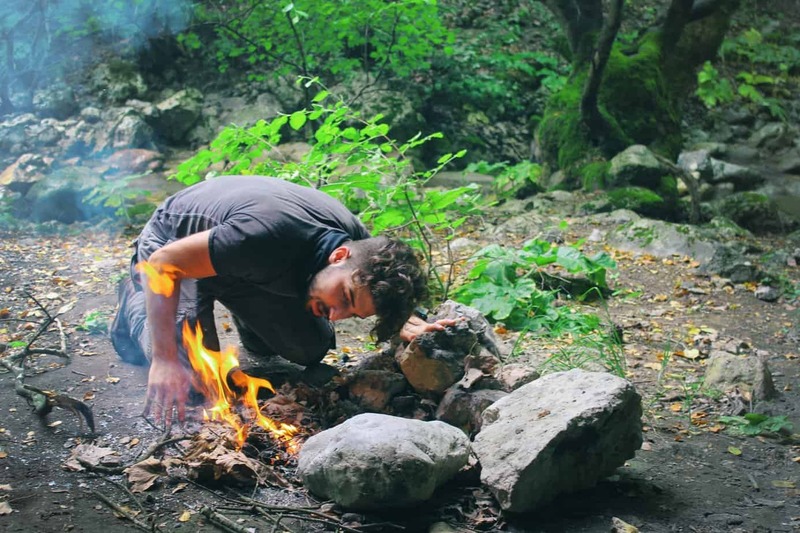 This means you must choose a tent site that is flat and without pointed objects or rocks. Overall the Kaiju 6 has a tough floor that will keep you dry and comfortable. These different weight classes make the portability for this tent versatile but obviously even at its FastPack weigh it’s still quite heavy. Unless you are backpacking with multiple people who plan to share the same tent and one person is designated for carrying it, the Kaiju 6 wouldn’t be a good choice. Since this is a large tent designed for 6 people, it is far more appropriate for car camping or for short hikes to a site where the tent will remain for the duration of the trip. Despite being a large tent, the entire Kaiju 6 folds up easily into the bags. 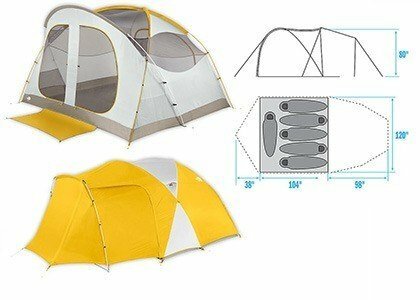 The North Face built this tent with a 3+1 pole pitching design. It takes roughly 25 minutes to set up the tent, less after the first few times, and about 15 minutes to take it down (including storing back into bags). The North Face has the Kaiju 6 listed as a 3 season tent that is appropriate for most spring, summer and fall temperatures. It is breathable enough to handle hot temperatures in summer and warm enough to get you through cold snaps in late fall and early spring. If you live in a very warm climate you can still use this tent for winter camping, as long as you don’t experience extreme temperatures or snow. The Kaiju 6 has a very water resistant floor as mentioned earlier, as well as waterproof treated seams, but if you plan to camp in a very wet area you will want to treat it with a waterproof spray. Even waterproof or heavily water-resistant tents can benefit from this extra at-home treatment. One of the main reasons the Kaiju 6 model is so popular is because of how comfortable it is. The inside living area is a huge 10’ x 8.6’ which is plenty for 6 people and very roomy for a couple who is camping with a lot of gear. 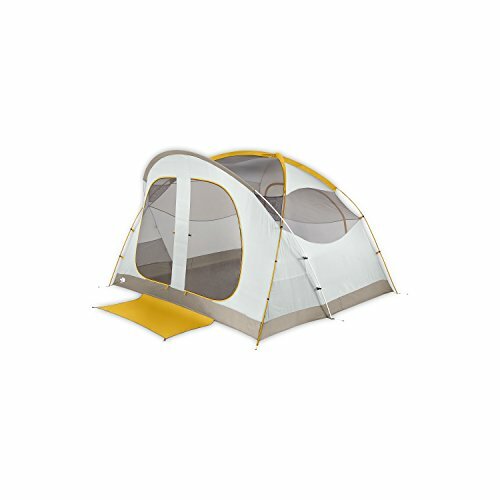 Many families find that this tent is perfect for people with children as the overall roominess is perfect if you need to fit a travel playpen in it. The two vestibules add even more space for storage and lounging. The main vestibule is 10’ x 8.2’ and doubles as a sunshade if you open both flaps. You can also add your own 10’ x 8’ tarp to the vestibule to use it as an additional sleeping area. 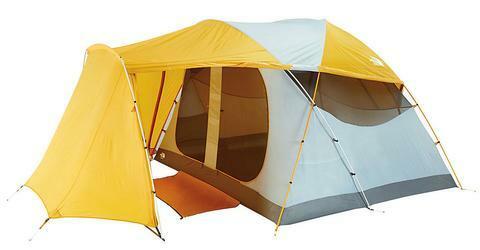 If you are a tall person you will be thrilled that this tent offers incredible head room. At its tallest the interior is about 6’ 6” while the middle is roughly 6’ 2” since there is a slight dip. You won’t need to crawl in or out of the tent. The vestibule is a huge benefit as it gives people a place to remove wet, dirty or muddy shoes and clothes before entering the tent. It also prevents rain from entering while the door is down. Families with kids will find the vestibule a huge advantage for these reasons. People that camp with pet dogs will also be happy that Fido can sleep protected under the vestibule rather than in the tent if he happens to get dirty at camp. Since this tent is for multiple people to share, The North Face added a ton of interior pocket for organization. There are more than 10 pockets throughout the tent plus a tablet pocket, as mentioned earlier. The tablet pocket isn’t just for storage but to actually prop up the tablet so it may double as a viewing platform. This is another benefit for families as the parent can set up a movie for the children to watch from within the tent. For gear storage there are hanger loops you can use to keep clothing off the floor. Even with 4-6 people sleeping in the tent there is still room for storing backpacks, stoves, and other outdoor gear. The vestibule can also double as a storage area- just be sure you add a tarp if there is a possibility of rain. How good is the quality of this tent? It has great fabric that should last a long time. The interior of the tent might look thin but it holds up really well, even during a windy day. The problem in terms of quality seems to be the poles that are not very strong, and might be too flexible. 2. Is this tent easy to set up? The The Kaiju 6 is big, but definitely not hard to set up. You should be able to do it without too many instructions, even if you are alone. 3. Can I get inside two queen air beds? Yes! You can comfortably fit two queen size beds, and sleep with enough space between both. So if you are thinking to get this tent for a trip for 4 adults this might be what you are looking for. The Kaiju 6 is overall an amazing tent and especially suitable for long-term camping trips and trips where a family or friends plan to share one sleeping area. Not only is the tent huge but it is far superior in quality and comfort than many other 4+ person tents. If you go car camping often and need plenty of room as well as protection from the elements, you will love this tent.